Perfect for the smaller size prints and pictures. Decorative and colorful red white and blue. 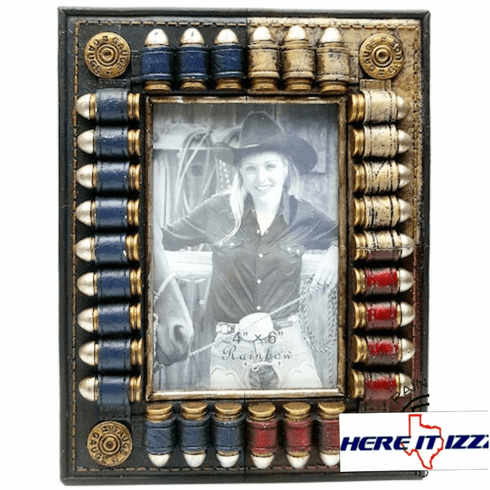 Shiny bullets in ammunition surround your chosen image in this beautiful Texas photo frame. This Frame is self standing in Holds your favorite picture you choose to display.